Ever fancied experiencing the life and culture of a Samurai for real? 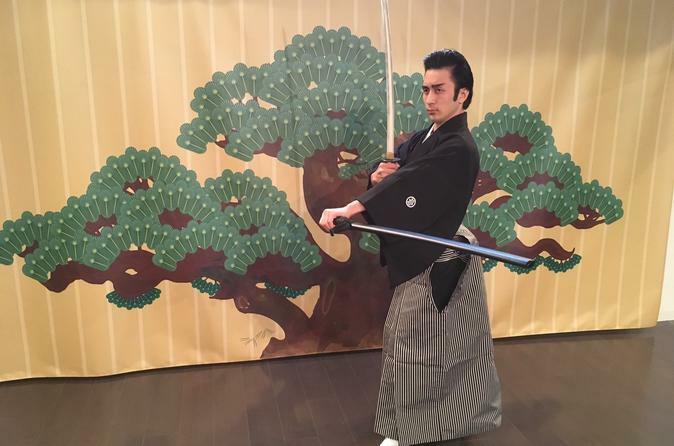 Look no further as you can now do so at our TOKYO Samurai Kembu workshop! “Kembu” is a traditional Japanese stage performance art that utilizes the Katana (traditional Japanese sword) and traditional Japanese fan while expressing the poems that were sung/recited by the Samurai. Tokyo Samurai Kembu is an authentic Samurai experience workshop gym (Dojo) located near Ginza area in Tokyo. Try on clothes that are worn in Kembu performances, learn how to handle a Japanese sword and Japanese fan the fun way and experience the way of the Samurai for yourself! Should you be coming to Tokyo, we would highly recommend adding this unique and mind-enriching traditional Japanese experience to your itinerary.